Radioisotope dating conveys an aura of reliability both to the general public and professional scientists. In most people’s minds it is the best ‘proof’ for millions of years of Earth history. But is the method all it’s cracked up to be? Can we really trust it? The lava dome at Mount St Helens provides a rare opportunity for putting radioisotope dating to the test. Mount St Helens erupting, 1980. 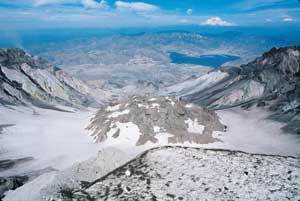 In August of 1993, with geologist Dr Steven Austin and others from the Institute for Creation Research, I climbed into the crater of Mount St Helens to view the lava dome. It was one of those experiences that was well worth every exhausting moment! The dome (see picture below), looks like a small mountain, roughly 1.1 km (¾ mile) long and 350 m (1,100 ft) high. It sits directly over the volcanic vent at the south end of the huge horseshoe-shaped crater that was blasted out of the mountain by the spectacular eruption on 18 May 1980.1 From the crater, the dome appears as a huge steaming mound of dark, block-like rubble. It is made of dacite, a fine-grained volcanic rock that contains a sprinkling of larger, visible crystals, like chopped fruit in a cake. Dacite lava is too thick to flow very far, so it simply piled up around the vent, forming the mountain-like dome, which now plugs the volcanic orifice. Mount St Helens lava dome. The dating method Dr Austin used at Mount St Helens was the potassium-argon method, which is widely used in geological circles. It is based on the fact that potassium-40 (an isotope or ‘variety’ of the element potassium) spontaneously ‘decays’ into argon-40 (an isotope of the element argon).2 This process proceeds very slowly at a known rate, having a half-life for potassium-40 of 1.3 billion years.1 In other words, 1.0 g of potassium-40 would, in 1.3 billion years, theoretically decay to the point that only 0.5 g was left. Contrary to what is generally believed, it is not just a matter of measuring the amount of potassium-40 and argon-40 in a volcanic rock sample of unknown age, and calculating a date. Unfortunately, before that can be done, we need to know the history of the rock. For example, we need to know how much ‘daughter’ was present in the rock when it formed. In most situations we don’t know since we didn’t measure it, so we need to make an assumption—a guess. It is routinely assumed that there was no argon initially. We also need to know whether potassium-40 or argon-40 have leaked into, or out of, the rock since it formed. Again, we do not know, so we need to make an assumption. It is routinely assumed that no leakage occurred. It is only after we have made these assumptions that we can calculate an ‘age’ for the rock. And when this is done, the ‘age’ of most rocks calculated in this way is usually very great, often millions of years. 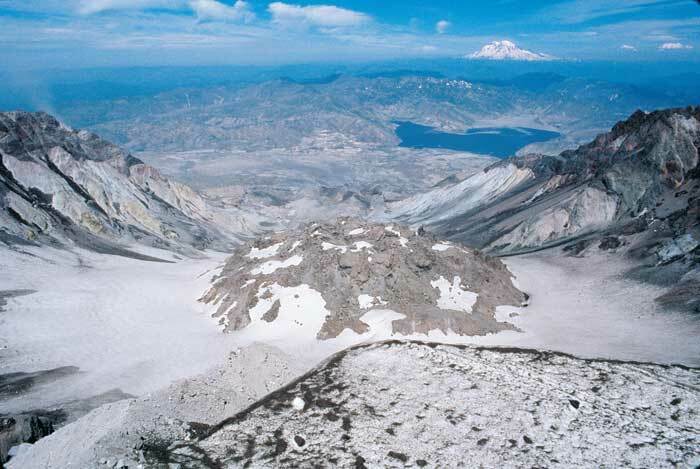 The Mount St Helens lava dome gives us the opportunity to check these assumptions, because we know it formed just a handful of years ago, between 1980 and 1986. In June of 1992, Dr Austin collected a 7-kg (15-lb) block of dacite from high on the lava dome. A portion of this sample was crushed and milled into a fine powder. Another piece was crushed and the various mineral crystals were carefully separated out.3 The ‘whole rock’ rock powder and four mineral concentrates were submitted for potassium-argon analysis to Geochron Laboratories of Cambridge, MA—a high-quality, professional radioisotope-dating laboratory. The only information provided to the laboratory was that the samples came from dacite and that ‘low argon’ should be expected. 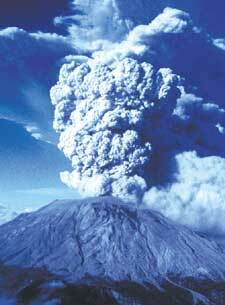 The laboratory was not told that the specimen came from the lava dome at Mount St Helens and was only 10 years old. The results of this analysis are shown in Table 1. What do we see? First and foremost that they are wrong. A correct answer would have been ‘zero argon’ indicating that the sample was too young to date by this method. Instead, the results ranged from 340,000 to 2.8 million years! Why? Obviously, the assumptions were wrong, and this invalidates the ‘dating’ method. Probably some argon-40 was incorporated into the rock initially, giving the appearance of great age. Note also that the results from the different samples of the same rock disagree with each other. It is clear that radioisotope dating is not the ‘gold standard’ of dating methods, or ‘proof’ for millions of years of Earth history. When the method is tested on rocks of known age, it fails miserably. The lava dome at Mount St Helens is not a million years old! At the time of the test, it was only about 10 years old. In this case we were there—we know! How then can we accept radiometric-dating results on rocks of unknown age? 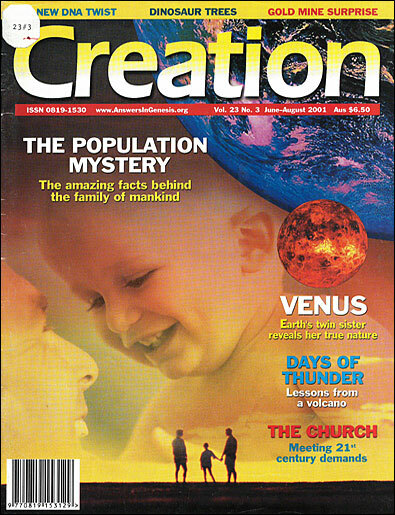 This challenges those who promote the faith of radioisotope dating, especially when it contradicts the clear eyewitness chronology of the Word of God. Table 1. Potassium-argon ‘ages’ for whole rock and mineral concentrate samples from the lava dome at Mount St Helens (from Austin1). ‘Radio-dating in rubble’ article ‘ignores’ data? Potassium-40 also decays into calcium-40 as well as argon-40. This can be allowed for because the ratio of argon to calcium production is known. Return to text. Ref. 1, p. 338. Return to text.